The Flower Barn is a local Lewisburg, KY florist with over 15 years experience delivering courteous, professional service and the highest quality floral and gift items around. Let us customize a floral arrangement that will complement any occasion and meet your style and budget expectations as well. When it's time to shop for a gift for any occasion... Call us direct at (270) 755-4444 or (800) 564-3170 or stop by our shop on Main Street in Lewisburg. Map to the Flower Barn. Open Monday through Friday 8:00 to 5:00 and Saturday 9:00 to 2:00. All major credit cards accepted. Browse our nice selection of Green & Blooming Plants, Tropical/Exotic Flowers, Stuffed Animals, and Balloons for any occasion. We create attractive Fruit Baskets, Gift Baskets, Bible Boxes with a variety of pictures, and Hunting & Fishing Boxes. We also have lots of Gifts for Men, Horses, Indian Items, Ceramic Churches, Angels, Picture Frames, Home Décor and Scented Candles. When it’s time to plan a wedding, party or any event…We can provide a beautiful selection of fresh flowers and eye-catching design styles that are sure to leave a lasting impression. 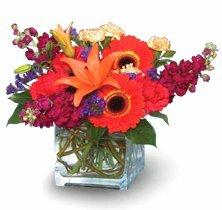 Call (270) 755-4444 to schedule a consultation with one of our talented floral designers. 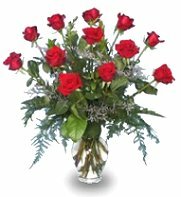 When it's time to send funeral and sympathy flowers... You can depend on us to help you choose flowers that beautifully convey your expressions of sympathy and serve as a lovely tribute to the deceased. We also offer Cemetery Wreaths to display at the graveside. Call or visit us today… we look forward to meeting you! Thank you for visiting our website for flowers delivered fresh from a local Lewisburg, KY florist and easy online ordering available 24 hours a day.